Many of the workers are paid minimum wage of £7.50 an hour and have asked their bosses for an increase in their wages. The 240 staff who are employed by Medirest, part of the giant Compass Group, have asked GMB to ballot them for industrial action. 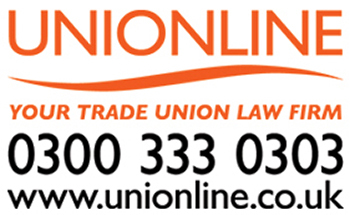 The union issued a consultative ballot on 17 February 2018 to gauge the worker’s response before a formal ballot to go on strike. “Medirest have taken over the contract and have reduced our hours, and reduced hours on minimum wage makes it almost impossible to live in London if you are single and very hard to bring up children on such low wages. “The staff do not want to go on strike because they are there to care for the patients, and they do care. But since Medirest took over, the problems we have had are non-stop. “We felt that at least a modest pay increase from the minimum wage might help, but Medirest have flatly refused to discuss any increase what so ever, so we have asked our members working as porters and domestics to take a view on going on strike. Ballot papers have been sent out and we are awaiting their return to plan the next step. “The troubled North Middlesex Hospital last year saw a series of protests and demonstrations by Medirest staff organised by GMB in the hope that the company would take the views of the workers seriously. However, Medirest simply refuse to move away from the National Minimum Wage, despite the possibility of strike action hitting a major London hospital that could continue for months.